28 april 2003 - Wiima and Wiima - Vantaa, Ilmakehä. Behind bus http://goo.gl/maps/e47KF was (Carrus) Wiima bus factory until it closed 2001. 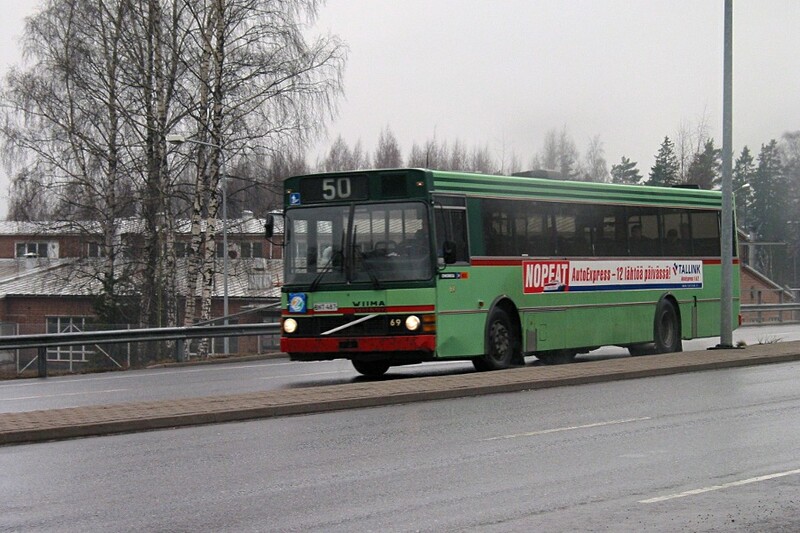 This model K202 was very popular model in Helsinki region, over 700 buses. Some of such Wiimas came to Poland after service in Finland.